Many of the restaurants you never knew you needed in your life are hiding in the Valley’s best hotels, and it’s worth a walk through a fancy lobby to get there. 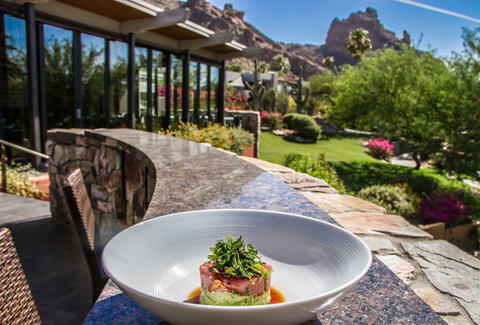 Whether you’re visiting sunny Arizona, enjoying a “staycation,” or just looking for a new (and, most likely, overlooked and underappreciated) restaurant to try, you can expect everything, from a gourmet burger to beautiful views. The Biltmore is one of Arizona’s most iconic resorts, and Frank & Albert’s is a clear reflection of that legacy. The modern, yet ornately decorated bar and restaurant embodies the creativity of renowned architect Frank Lloyd Wright and, most importantly, offers some of the best food in town. The restaurant is open for all three meals, and offers everything from cheesy, generously topped pizzas to seared, bacon-topped scallops. We also recommend checking out some of the signature cocktails -- the Biltmore mule is our favorite. Hotel restaurants and casual dining usually don’t go hand in hand, but sometimes we all just want a great burger and fries. 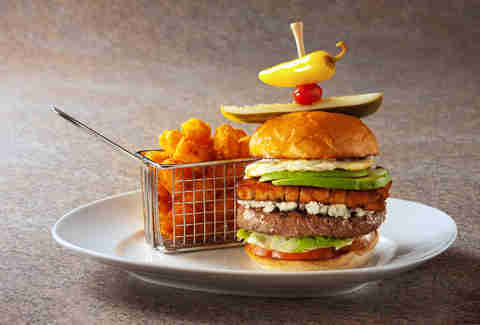 Relish Burger Bistro remains upscale while offering some of the best comfort food around -- think gourmet Kobe burgers, perfectly browned tater tots, and milkshakes. The extensive beer menu is impressive as well, featuring everything from lagers to ciders. Dubbed the “culinary jewel” of Talking Stick Resort, Orange Sky sits at the 15th floor of the hotel and offers a 360-degree view of the city. Many come to Orange Sky to experience the terrific views, but they return for the unbelievable food. The restaurant serves a variety of entrees (primarily steaks and seafood), and many of the ingredients are locally sourced, a growing trend in the area. elements is a fusion restaurant developed by Food Network star Beau MacMillan -- think sweet corn raviolis with Thai basil fondue, or braised short ribs with Japanese yams and shiitake mushrooms. The restaurant incorporates local and organic ingredients to produce some of the most delicious, high-quality, unexpected, unique dishes in the Valley, including vegetarian and gluten-free options. Some of our favorite summer entrees include the bacon-wrapped filet of beef, the sweet corn raviolis, and the Maine lobster udon. Plus, this summer, you can look forward to 50% off bottles of wine Sunday through Wednesday. Entering the Omni is like stepping into a beautiful Spanish palace -- it is, hands down, one of the most awe-inspiring resorts in the Valley thanks to its abundance of flowers, high ceilings, ornately detailed decor, and imposing columns. Fortunately, the fine dining lives up to the luxurious atmosphere. 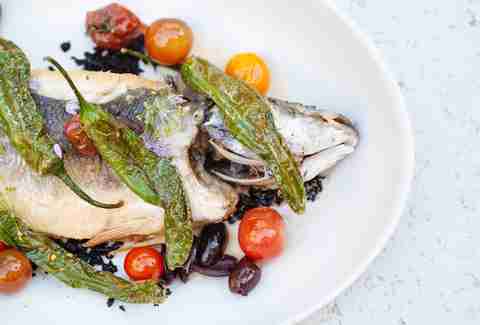 At Prado, guests enjoy locally sourced menu items that deliver a Spanish flair. Some of our favorite main courses include the potato gnocchi, Moroccan-style lamb shank, and the adobo spiced chicken. Additionally, the Omni often hosts spectacular culinary events, like its “Sip of Spain” wine tasting, so you’ll always have a reason to come back and try something new. 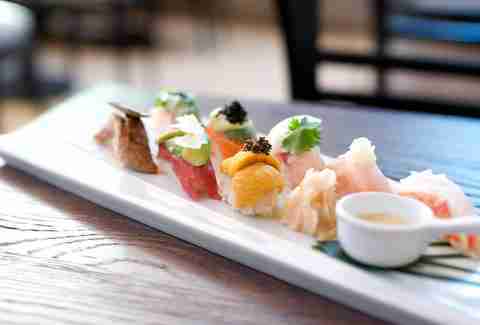 Sushi at a beautiful hotel in one of the hottest spots in the Valley? No, it’s not too good to be true. This trendy Asian spot offers creative menu items, like the salmon with Roku’s specialty BBQ sauce, without compromising taste, and still offers everyone’s favorite classics – such as the California and spicy tuna rolls. If sushi isn’t your style, but you still want to check out Sushi Roku, try the filet mignon or the grilled salmon. Compass Arizona Grill has been one of the Valley’s most popular restaurants for 40 years. The rotating restaurant offers a 360-degree view of the Valley, and you never even have to leave your chair (or food!) for a good gaze. The entrees are fantastic, but our favorite part of the menu is the starters -- especially the brie fondue -- and the delicious lineup of desserts, which includes a crème brulee trio and a plum cobbler. For a fine-dining experience that’s second to none, T. Cook’s is the place to go. 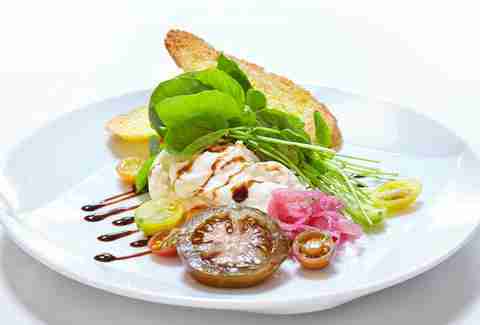 This award-winning Mediterranean restaurant is a favorite of food critics and known as one of the best restaurants in the Valley, with a romantic atmosphere and fresh fare that is often seasonal and locally sourced. From the more casual lunch options, like the sun-dried tomato grilled cheese and the pastrami Reuben, to the more lavish entrees such as sage-roasted filet mignon, every aspect of the menu is executed flawlessly. 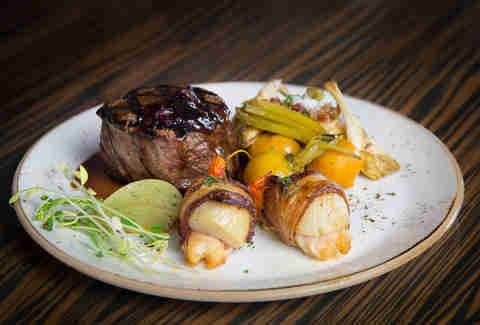 This upscale spot in Downtown is the perfect place to enjoy an elaborate cocktail and a hearty meal. The lounge-like space is intimate, beautiful, and perfectly complements the restaurant's atmosphere and menu. You can’t go wrong with any of the dishes or cocktails, but we do recommend you order a Lawless from the bar. Even if whiskey isn’t your drink of choice, we guarantee you’ll want to see how this signature cocktail is made, with a little bit of fire and a lot of smoke that gives it its unique flavor. The Camby is one of the Valley’s newest resorts, and its restaurant, Artizen, Crafted American Kitchen & Bar, is a must-try for locals and tourists alike. The ever-changing seasonal menu and locally sourced ingredients evoke a Southwestern feeling while still incorporating time-honored favorites like pork chops and steaks. 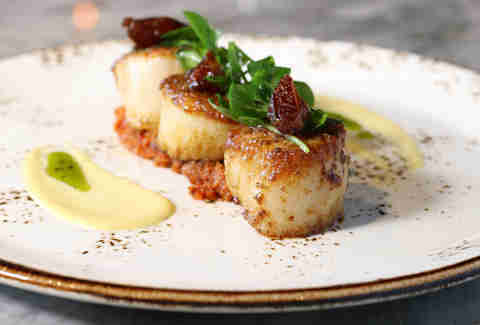 For the summer, our favorite entrees include the diver scallops, which feature chorizo jam and roasted red peppers, and the duck tamales, which are topped with a delicious mix of green salsa and white chocolate mole. Jamie Killin is a Phoenix native who's ready to staycate at all of the Valley's best hotel dining spots.